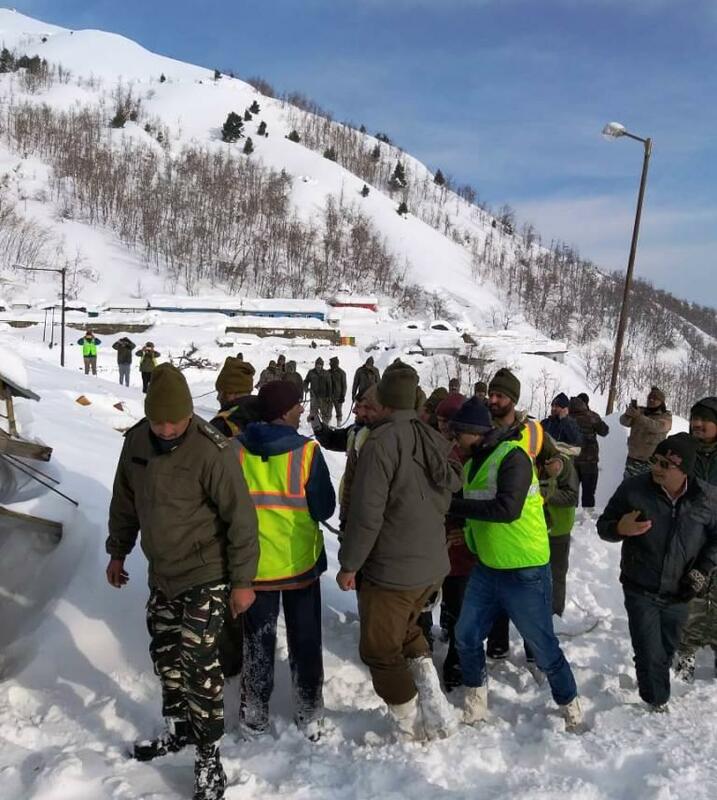 Srinagar, Feb 9 A massive rescue operation was resumed on Saturday morning for a policeman who is still missing after an avalanche washed away a police post near Jawahar tunnel on February 7 in which seven persons were killed while two others were rescued alive. A police spokesman said the deceased included two firemen, a Crime Branch (CB) Dog Squad official, two policemen and two accused. He said a police post was washed away on February 7 near the tunnel on Srinagar-Jammu national highway which remained closed for the fourth day today due to landslides and shooting stones. Ten persons were buried alive under the avalanche which had also blocked one tube of the tunnel. He said two policemen were rescued alive. While bodies of seven others were recovered, one was still missing. Due to cold conditions and the threat of more avalanches, a rescue operation was stopped late last night. However, the operation by personnel of different agencies was resumed this morning again.